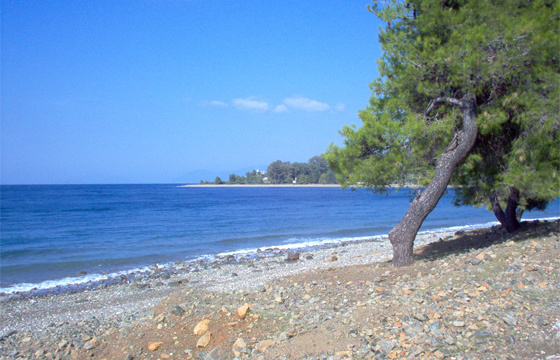 Agios Georgios is a tranquil spacious beach in northern Evia. Everything here is serene: the beach is never too crowded; the lovely colours of the beige sand, the grey pebbles and the light blue sea perfectly compose a relaxing palette; and the pine trees around the beach offer shade and enhance the precious summer breeze. The beach lies in front of the homonym village and close to the homonym picturesque church, which is certainly worth a visit!